When traveling, if something does not fit in your travel bag, it simply cannot a part of your life. For most of the past 4.5 years now, this is how I have lived. My 1st travel-sized Crystal after about 12 months or use as needed. But one thing I never want in my life is smelly underarms — which means that for those 4.5 years, there always needed to be room for a good deodorant. As I expect you also feel this way, it’s time to share my deodorant experience. 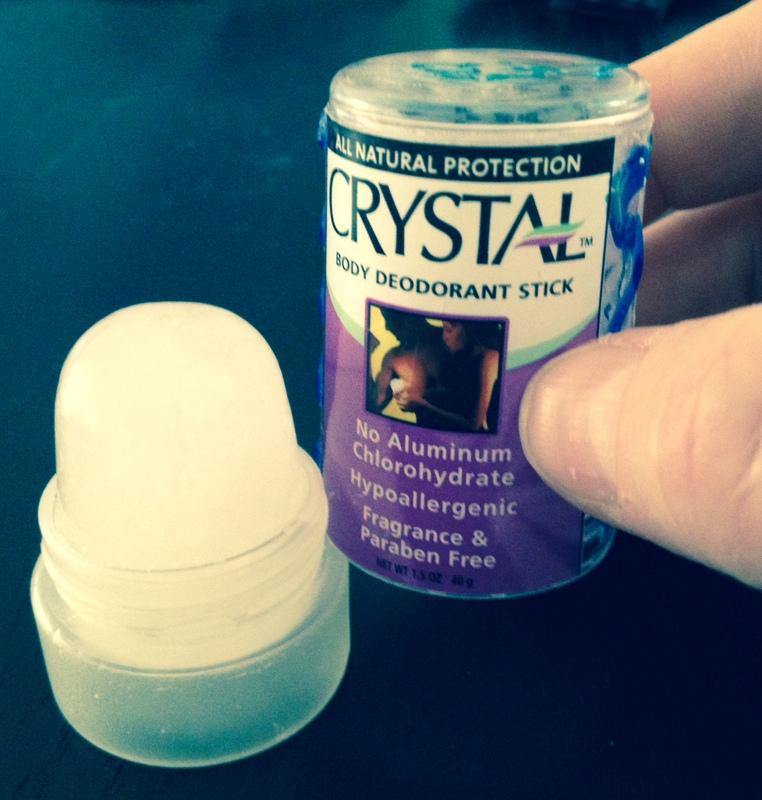 For several years even prior to my travels, I had been using a Crystal body deodorant stick* — and it’s the perfect deodorant to take traveling! 2018 Amendment: I still stand by this deodorant and recommendation. However, Sprouts now offers a mineral salt deodorant that you should know about. I switched because I didn’t trust the new harder plastic base of the stick pictured above to protect from drops and last during a trip. I’ve been using the Sprouts brand stick for about 8 months, over one 6-month trip and it’s done just as well. The Crystal comes in two sizes: Original and Travel. The original officially, “lasts for up to a year,” per the company. The Travel size is smaller and lighter: 1.5 oz., about 2 inches tall by about 1 inch wide at the widest. Officially, it “lasts for months.” For my first purchase, I bought a full-size stick and several travel sticks to give as gifts. I also kept one travel stick for myself. This product is only a deodorant and not an antiperspirant, so you might worry that you’ll still perspire. However, perspiration is healthy; our bodies were designed to perspire for good reasons. What we really care about is smelling bad — and this prevents that odor. 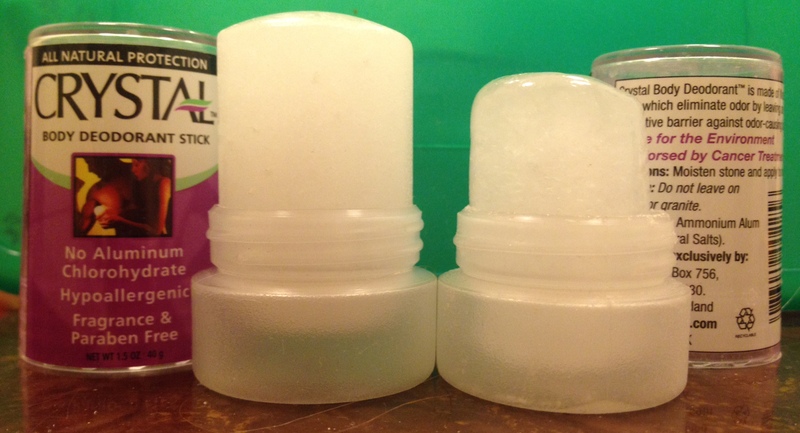 For my first year of travel, I took my Original size Crystal Deodorant, removing it from the plastic shell in order to save room. It lasted for my year in Central America. However, when I dropped it, it broke into a few pieces, some too small to apply. All crumbled too soon. For my next year-or-more trip, I decided to take the Travel size as it is (a) smaller and (b) has a better protective case. I was happy to find that after a full year of use, it wasn’t used up yet. My current stick – in use since before the start of 2015 and it’s now March 2016. The height of the top shows the original height. As I embarked on my Eastern Europe-to-Israel adventures, I took my last travel-sized stick with me. This time, a friend had given me a stick deodorant (Coconut Snow All Natural Deodorant) she insisted was great and although I did not have the room for it, I felt obliged to take it. She raved about how great it was. It was expensive and just ok. When it was finished after just 3 months, I was happy to reclaim the space in my backpack and I didn’t miss it. The travel-sized Crystal lasted me from about the end of 2014 through well, now. I am still using it in March 2016! As you can see in this photo it’s only about half dissolved. I don’t use it every day. If the weather or my agenda isn’t going to cause odor, I skip it. But I do use it about 50% of the time, so that’s still a full year’s use. Yes, the travel-sized Crystal sticks lasted for at least a year! Fantastic deodorant for travel! Same stick – and it’s now December 2016. This is the same stick. 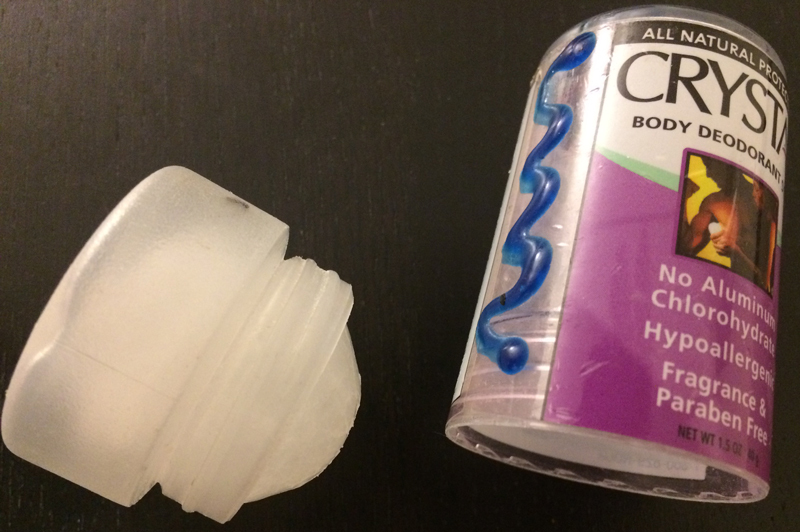 It is still providing deodorant protection and is still firmly attached to the bottom of the container. The tips I provide immediately below definitely work! The tips I provide immediately below definitely work! That stick still looks pretty much the same. In order to use it now, I have been trying to push the salt out of the holder. Having taken such good care of it, that’s an effort. I’ve got to say that it stayed put in there very well! I am actually letting it get wet now (see my next heading) to remove it from the case and use the rest. Instead of wetting the stick, which dissolves it faster than needed, apply it before you dry your armpits, then don’t rub it off as you dry your body. Or after you’ve dried off, use your hands to wet your armpits and then apply the salt. Or, the first option isn’t comfortable for you, wet just the tip to apply it. Don’t let the entire stick get wet. If the base gets wet, the width of the Crystal dissolves so it detaches from its protective base. Once it comes out of the base, you’ll need to hold it with your hands and if they are wet, that will further dissolve it. The company reps told me in person at Natural Products ExpoWest, that all we need is a couple of swipes per arm. It’s easy to do that and cover your entire armpit. As soon as you’re done applying it, blot the stick dry with a bit of toilet paper or a towel that doesn’t smell. Then put the cover back on and put it safely away. Protect it. In my toiletry case, I protect it with my toothpaste and perhaps my Brincatti shampoo bottle so it never has the full impact should my case fall or be tossed around. One more reason it’s so great for travel is that it doesn’t spill or leak. And, by the way, the base is hollow soft plastic so it doesn’t add much weight to your bag — and it protects the crystal. I’ll have to get on in-store before my trip. I’ve used a crystal deodorant once before but just forgot about it. Thanks for the post.